You belong to your father the devil and you willingly carry out your father’s desires. He was a murderer from the beginning and does not stand in truth, because there is no truth in him. When he tells a lie, he speaks in character, because he is a liar and the father of lies. As one who has written continuously about federal criminal law and prosecutorial abuse, I rarely find myself surprised by anything that the minions of the misnamed U.S. Department of Justice do or say. The DOJ is populated with people for whom truth has taken a permanent vacation, and I doubt seriously that the situation will change just because there is a new attorney general. "Misstatements happen." Rosen knew and pretty much admitted that she and her colleagues knew that they were lying in court, lying to a judge, lying to a jury, lying to the public, lying to everyone. Nothing will happen to her, and nothing will happen to her fellow prosecutors, who most likely will retry Reyes not because he is guilty of anything, but rather because they can do it, and since they openly admit they are liars, they pretty much have the run of the store. Never mind that this story flew in the face of the publicly known facts or that the government’s sole witness, a junior finance department official, later recanted, saying she had been bullied by prosecutors. Hilariously, even as Justice argued in one courtroom that Brocade’s finance department had been kept “in the dark” about backdating, the SEC was simultaneously impaling two former heads of Brocade’s finance department for aiding, abetting and benefiting from backdating. So, it has come to this: federal prosecutors now openly admit to appeals judges that they knowingly presented a false case, lied to everyone, and that such lying just "happens." I would like to know how people who claim to be against lies have turned into liars themselves. Unfortunately, I believe I have discovered one piece of this puzzle, and it involves people who openly claim to be Evangelical Christians and at least some of the culprits have held high church office. Ashcroft was one who wore his Christianity on his sleeve, but made sure that his Christian beliefs never interfered with his lying. The second person is the former U.S. Attorney for Eastern Virginia, Paul J. McNulty, who also served as the number two person in the DOJ until he resigned after having misled Congress regarding the firing of some U.S. attorneys, a case that still has some traction. 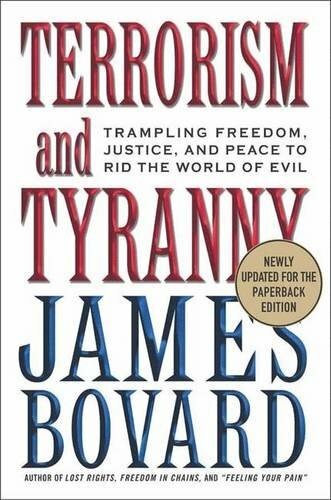 The impeccable libertarian writer James Bovard already has dealt with many of McNulty’s actions in his book, Terrorism and Tyranny, and Bovard’s accounts of McNulty’s “misstatements” are worth reading. As the chief federal prosecutor on terrorism cases, he had his hand in the infamous “Lackawanna Six” case, one that Judge Andrew Napolitano condemned as being the product of DOJ lawbreakers. McNulty also pursued the infamous “paintball terrorists” case in which people were railroaded into prison although no supposed “terrorist plot” ever was discovered. The prosecutors did not dispute that Hurwitz had helped hundreds of patients recover their lives by prescribing the high doses of narcotics they needed to control their chronic pain. Instead they pointed to the small minority of his patients — 5 to 10 percent, by his attorneys’ estimate — who were misusing the painkillers he prescribed, selling them on the black market, or both. The prosecutors did not claim Hurwitz, who faces a possible life sentence, got so much as a dime from illegal drug sales. Instead they pointed to his income as a physician, which they said was boosted by fees from patients who were faking or exaggerating their pain. The evidence supporting this theory was, not surprisingly, ambiguous at best, leaving plenty of room for reasonable doubt. Yet the prosecutors got the jury to overlook the obvious weaknesses in their case and convict Hurwitz, in essence, of trusting his patients too much. 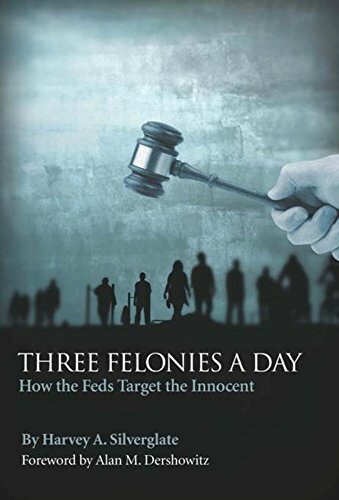 Indeed, as Harvey Silverglate writes in his newest book, Three Felonies a Day, the Hurwitz conviction ultimately meant that doctors around the country became fearful of the very medications that alleviate pain, which meant that many Americans would suffer pain needlessly because Paul McNulty wanted a scalp. The reason that I bring in McNulty is twofold. First, as both the lead federal prosecutor on "terrorism" issues and as the number two at DOJ, McNulty was in a key position to affect DOJ culture and to insist upon honesty. The reason I make that point is that, second, McNulty is a ruling elder in a congregation of the Presbyterian Church in America, the same Evangelical denomination to which my family and I belong. Unfortunately, instead of helping to bring honesty and decency to the DOJ, McNulty chose to further the same Culture of Lying that Bill Moushey exposed more than a decade ago in his award-winning series, "Win at All Costs." Instead of integrity, the DOJ under McNulty’s leadership went into the direction that ultimately resulted in the dishonest and cynical testimony: "Misstatements happen." Like Ashcroft, McNulty wears his Christianity on his sleeve, and both were featured positively in the Evangelical magazine, World. (World even gave Ashcroft its "Daniel of the Year" award in 2001.) Another federal prosecutor who openly promotes his Christian beliefs is Matt Martens, an assistant U.S. attorney in Charlotte, North Carolina. Martens, a deacon and a Baptist lay preacher, was the lead prosecutor against Victoria Sprouse, whose case I have documented here and here. In this case, Martens knew that one of his "star" witnesses had sworn under oath in a civil case that Sprouse was innocent of any fraud and was unaware of fraud being committed in real estate deals for which she was the closing attorney. However, Martens had charged the witness with fraud, but offered him a deal of serving only two years in prison if he would testify that Sprouse knew that there was fraud on her part. The thing to remember is that when the witness swore under oath several years before, he was not under duress nor forced to exchange testimony for a reduced prison sentence. Thus, when a man completely changes his testimony on a witness stand in order to help a prosecutor fit his own "theory" of what happened, I am going to be very skeptical. Furthermore, Martens and other prosecutors should be reminded that their job is not to win, but to do justice. It is important to understand, however, that the outcome was fixed long before the trial, and not by any criminal or regulatory violations on behalf of Sprouse. Martens arranged for the government to forbid Sprouse from selling, disposing, or mortgaging any of her property in order to raise money to pay for her attorney, Pete Anderson. Because all her assets were forbidden to be sold or mortgaged she did not have any other funds by which to pay, the judge declared her “indigent” and then permitted a maximum of $25,000 for her legal fees. The prosecution’s strategy was obvious. If Sprouse could be denied adequate counsel, as $25K is not going to buy anything more than an attorney who wants to plead out right away, then a conviction was as good as done. What happened afterward is most important — and sealed the outcome. Anderson told the judge at a hearing in which she petitioned to have one of her properties sold so she could raise legal fees that he still wanted to represent Sprouse, given his knowledge of the case. That is where Martens dropped a bombshell. Martens told the judge that it would take four-to-six weeks to present the government’s case. Anderson argued that since it would take his firm five months to prepare for trial with another month to six weeks in a trial would mean his firm would have to spend six months for a relatively tiny fee, which the firm could not afford. Thus, he begged off the case and the judge appointed two attorneys who then tried to force Sprouse to plea to a deal that would have given her 20 years. Sprouse, believing she had not committed any crimes and wanting her Constitutional day in court, refused, and from then on, she and her counsel were at odds. There are a number of reasons why this development was significant, and why Martens had orchestrated it. First, and most important, when Martens actually presented the “evidence” during the trial, he took less than four days. One does not boil four-to-six weeks of material into four days; instead, Martens — an officer of the court and one who is bound to tell the truth while carrying out his duties — had not told the judge the truth. Unfortunately, like Ashcroft and McNulty before him, Martens is not a man of the truth. Like Ashcroft and McNulty, Martens believes that the Bible in the inerrant and infallible Word of God. However, like Ashcroft and McNulty, he does not believe he is bound to the Holy Scriptures, at least when he is trying to railroad innocent people into prison. And like McNulty, Martens ordered Sprouse arrested at 6 a.m. at her home (after his storm troopers nearly broke down her front door) on the day that she already had agreed to turn herself in to the U.S. Marshals at 9 a.m. Like McNulty, Martens wanted to present a false picture of Sprouse being “uncooperative” with the authorities regarding her arrest if and when he secured a conviction. Evangelicals like Ashcroft and others were quick to condemn Bill Clinton for his escapades and especially his lying. Indeed, Clinton became well-known for telling untruths and outright whoppers. Yet, what happened when a Republican government came on the scene, a government which was strongly influenced by those same Evangelicals who claimed to hate Clinton’s lies?